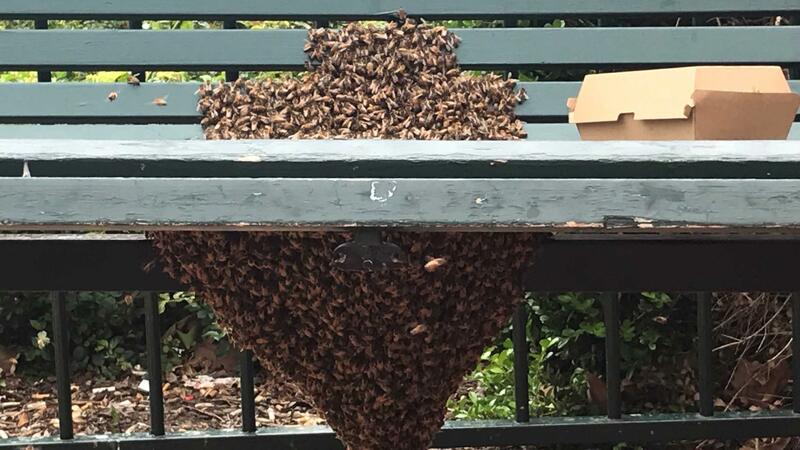 Lunchtime shoppers in Tamworth got a shock on Wednesday when a swarm of about 30,000 bees took up residence on a bench in the busy main street. The bees had filled their hive in a nearby tree with honey and needed a rest from house hunting when they spied the bench. 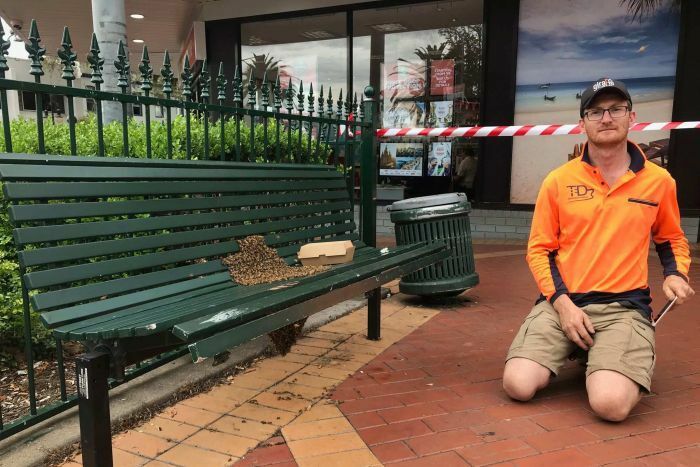 Passer-by Tom Kerr managed to catch the queen bee in a takeaway container and hold on to her until a professional beekeeper arrived to move the colony. Mr Kerr was keen to help out and even risked several stings when he held the swarm in his bare hand. “They’re a bit flighty,” he said. 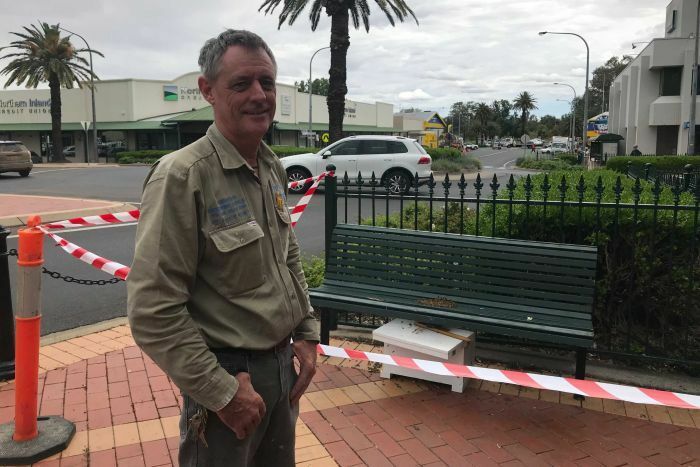 For beekeeper Tony Bradbery, a situation like this is just another day at work. “It’s extremely common at this time of year and right through summer really,” he said. “[But] it is unusual this year because most beehives are actually empty because of the drought at this time. While getting called to emergency bee removals can interrupt a person’s day, Mr Bradbery does not mind. “Let’s face it, if we lose bees, we’re not far behind them. So I like to do my little bit,” he said. Mr Bradbery said people often called exterminators out of fear when they encountered wild hives, but it was better to get a beekeeper to move the hive and preserve the important pollinators. He set up a box under the seat and placed the captured queen inside to lure the workers in. He also used old frames that smelled of honey and wax to tempt the insects to their new home, before using a brush to gently encourage the bees in. Passers-by stopped to stare and take photos as the ball of bees was moved on. And if you find yourself in a swarm of bees, Mr Bradbery has this advice. “The worst thing people can do is swipe. If a bee’s staring you down in your face, you just walk away,” he said. The bees are now settling into their new home out of town.